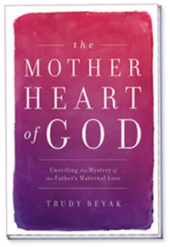 You are invited to meet Trudy Beyak at a special book launch and signing as she shares her story “behind the scenes’ and what led her to write her book The Mother Heart of God . It all happens at the House of James (2743 Emerson Street, B.C. Abbotsford, Canada) at 7 p.m., Thursday, May 9. This entry was posted in Uncategorized on April 25, 2013 by Trudy Beyak.